Each Disney resort has its own gift shop. 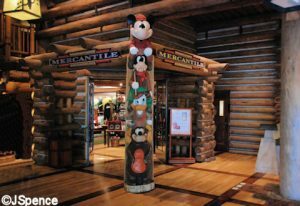 These shops carry souvenirs, items with the resort's logo, and some items that match the resort's theme. But, we've gathered together a list of items we would love to see some of the resorts sell! See the list here. NEWS! 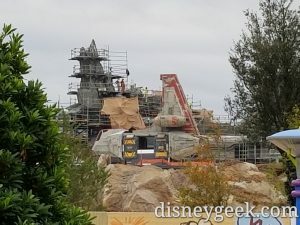 Star Wars Galaxy’s Edge Attractions’ Names Revealed and More! We've got just announced details on the two new rides coming to Star Wars Land in Disney World and Disneyland. Plus, we have more information and details on the Star Wars Resort coming to Disney World. Read all the news here. Bay Lake will be getting a new nature-inspired, mixed use Disney resort in 2022. The resort will sit between Disney’s Wilderness Lodge and Disney’s Fort Wilderness Resort & Campground on the shoreline of Bay Lake. Learn More about this resort and updates to Coronado Springs, and the new Riviera and Star Wars Resorts. 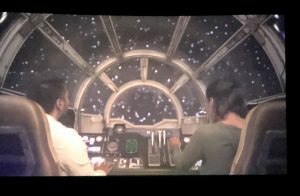 New Star Wars: Galaxy’s Edge, Millennium Falcon Ride Details Released! 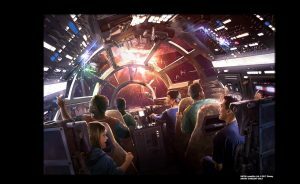 Star Wars fans anxiously awaiting the opening of the Star Wars: Galaxy's Edge lands in both Disneyland and Walt Disney World, have some new information on the new Millennium Falcon ride, thanks to an extra on the Blu-Ray of Solo: A Star Wars Story sold at Target stores. 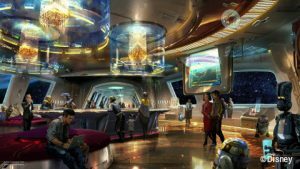 On Sunday at the D23 Expo Japan, Walt Disney Parks and Resorts chairman Bob Chapek revealed more details about the much-anticipated Star Wars-themed hotel being built at Walt Disney World. Disney Parks and Resorts are taking immersive to a new level with the Star Wars-themed hotel that is being planned for Walt Disney World. The announcement came at the D23 Expo over the weekend in Anaheim, Calif. Details were not plentiful, but Kristin Ford writes about what we know so far.